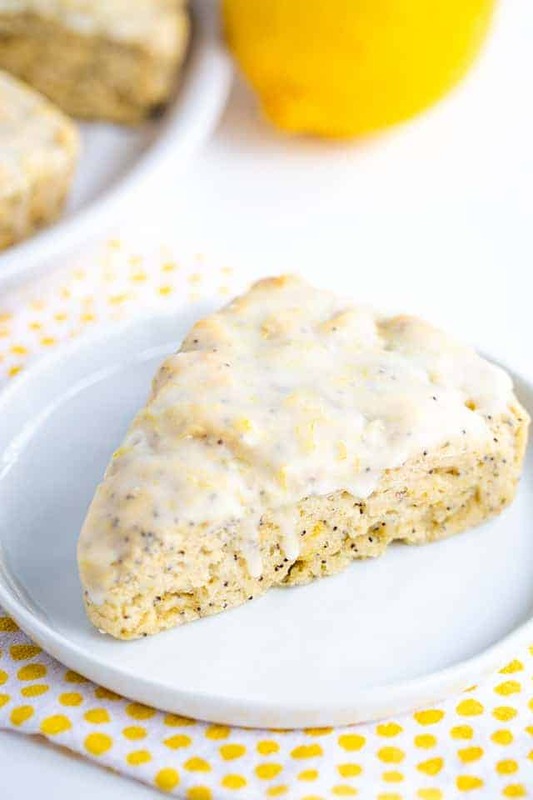 These lemon poppy seed scones are so light and fluffy. They’re sweet, but also have a punch of tart lemon flavor. They’re speckled with poppy seeds and dipped in a lemon glaze. They’re the perfect scone to wash down with some tea! 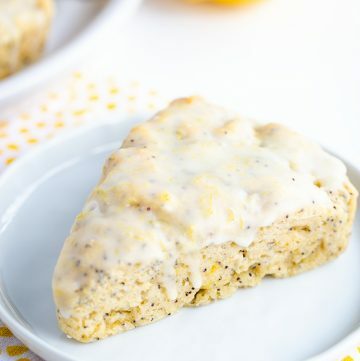 My husband is crazy for this lemon poppy seed scones recipe. 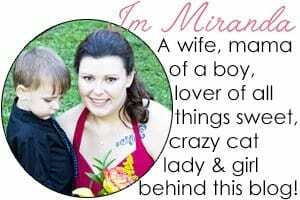 Well, he’s crazy for any lemon poppy seed dessert, if I’m honest. He couldn’t wait for me to get my pictures done before he stole a scone off the counter. Don’t worry, I asked beforehand. 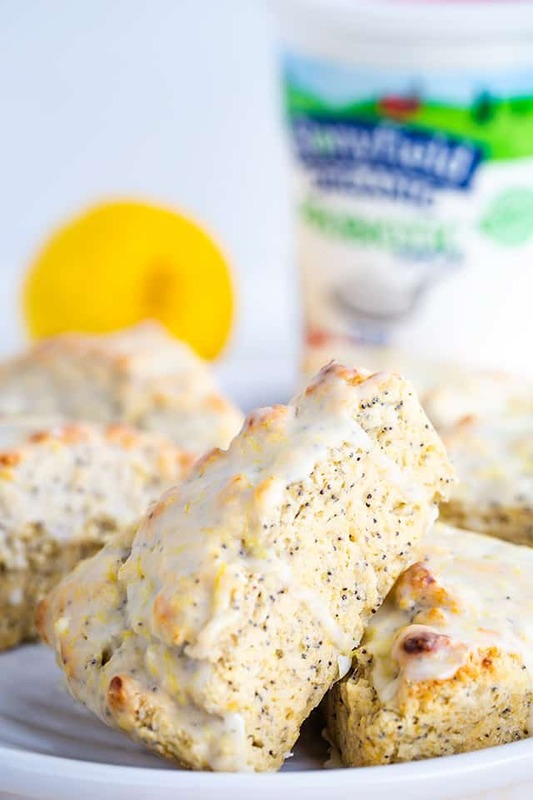 I’ve made this lemon poppy seed scones recipe with Stonyfield Greek Yogurt and also Stonyfield Plain Yogurt. I think it would work great with sour cream as well. 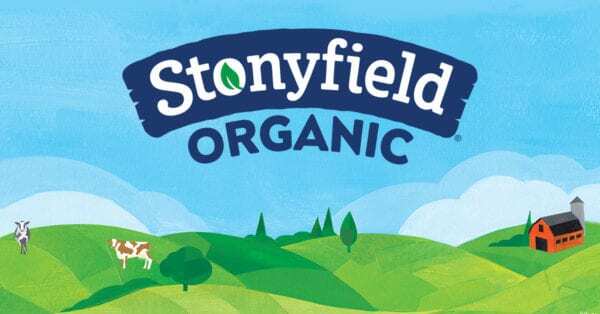 I know some recipes use heavy cream to make scones, but I haven’t tried it and it’s not nearly as thick as yogurt or sour cream so I can’t even give an educated guess on whether it would make an okay substitute for my recipe. Here’s the thing. 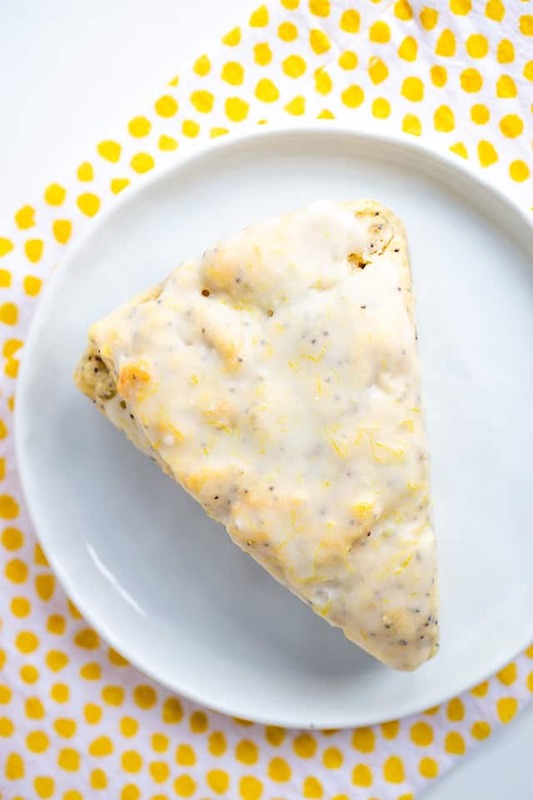 I like everything sweet so it’s only natural that I couldn’t leave my lemon poppy seed scones alone. They just needed to be topped with a lemon glaze. It doesn’t take long to make and really adds a nice extra zing to the scones. Plus, that lemon zest in the lemon glaze is gorgeous on the scones. These scones are quite easy to put together. To start with, I like to cut my butter up into cubes and put it in the freezer for about 30 minutes. In a large bowl, add in the flour, sugar, poppy seeds, baking powder, baking soda, salt, and lemon zest. Whisk to combine. In a smaller bowl, add in the yogurt, vanilla extract, and lemon extract. Whisk until the extracts are incorporated. 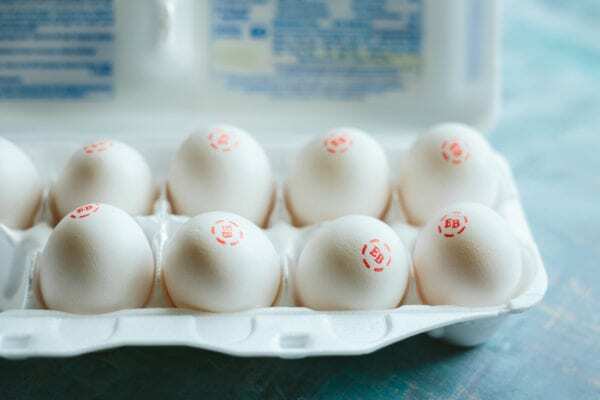 Add in the lemon juice, and egg. Whisk until everything is combined. Set aside. Grab the butter from the freezer and add it into the large bowl of dry ingredients. 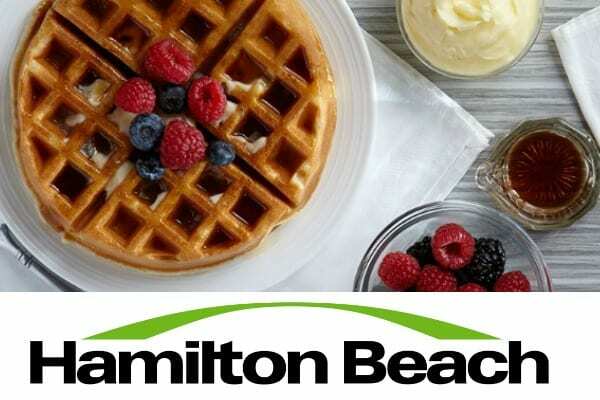 Using a pastry blender, cut the butter until it resembles a coarse meal. 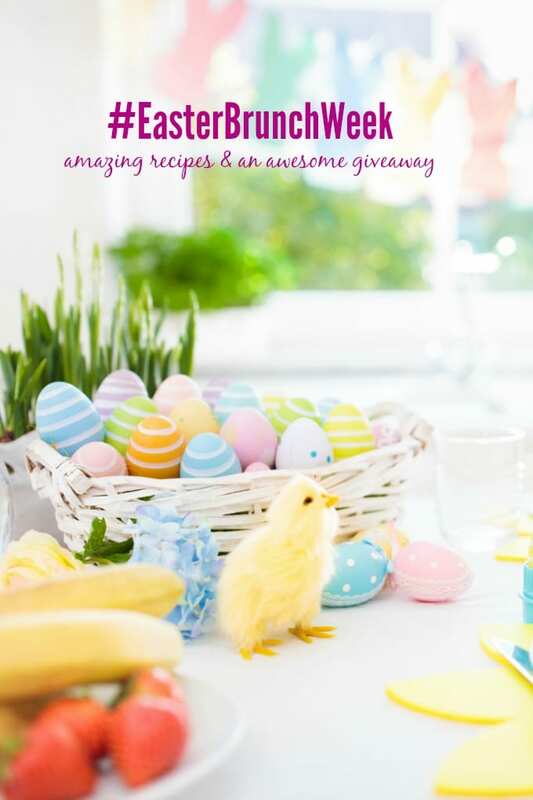 Don’t have a pastry blender? You can use a food processor and pulse until it resembles coarse meal or my favorite is to leave the butter whole and freeze it. Then grate it with a cheese grater into the dry ingredients, stirring occasionally to keep the grated butter from clumping. Pour in the bowl of wet ingredients and gently stir the dough. If you overwork the scone dough, it will become very tough. Turn the dough out onto a clean countertop and knead it a few times to get the dry ingredients worked in. Press the dough into a circle. I put mine back in my large glass mixing bowl and press it into a circle. Cut the dough into 8 pieces. I usually do it like I’m cutting a pizza. Spray your Nordic Ware scone pan with nonstick cooking spray. Place each scone into a spot and gently press it down. In a small bowl, add in more yogurt and a little lemon juice to thin it. 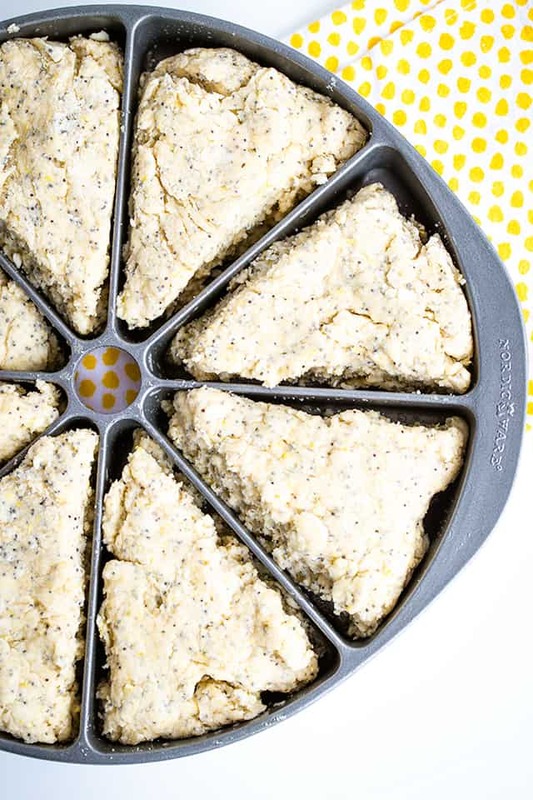 Brush the mixture on top of the lemon poppy seed scones. Place into a preheated oven and bake for 25 minutes. 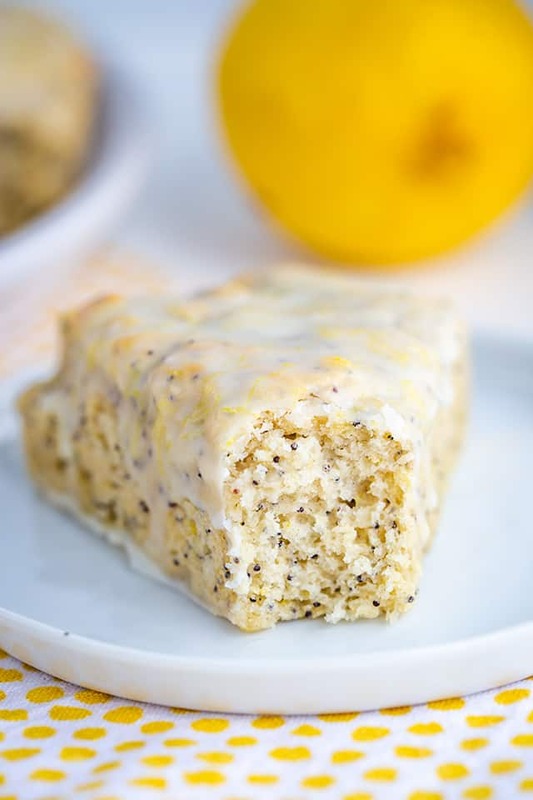 Need more lemon poppy seed in your life? 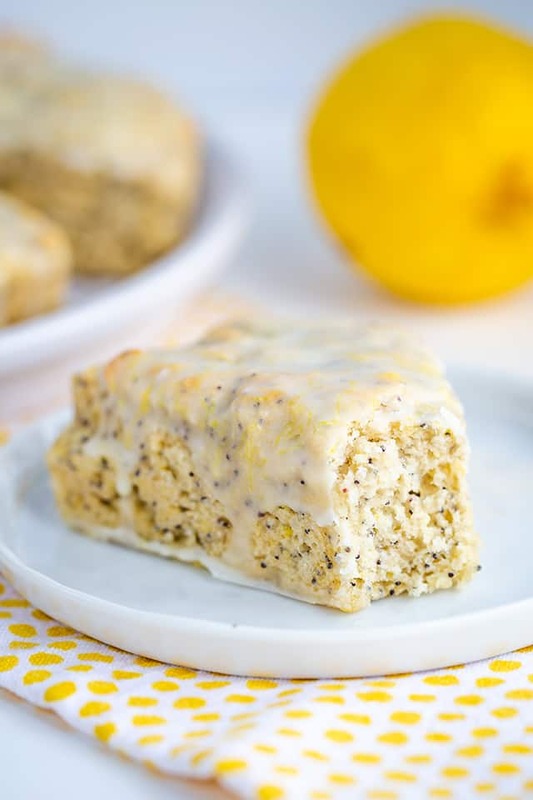 These lemon poppy seed scones are so light and fluffy. They're sweet, but also have a punch of tart lemon flavor. They're speckled with poppy seeds and dipped in a lemon glaze. Preheat oven to 400 degrees. Spray your scone pan with nonstick cooking spray. Place your cubed butter in the freezer for about 30 minutes. In a large mixing bowl, add in the flour, sugar, poppy seeds, baking powder, baking soda, lemon zest, and salt. Whisk to thoroughly combine all of the ingredients. Set aside. In a smaller bowl, add in the yogurt, vanilla extract, and lemon extract. Whisk to combine. Add in the egg and fresh lemon juice. 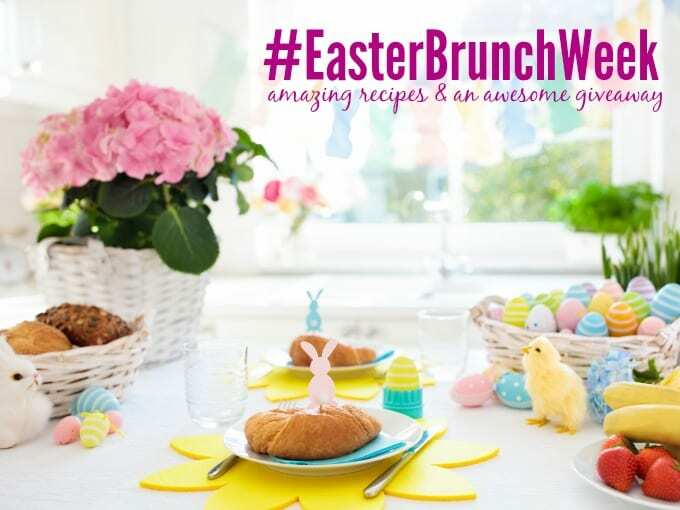 Whisk until the egg is incorporated into the mixture. Set aside. Using a pastry blender, cut the butter until it resembles a coarse meal. You can also use a food processor to pulse the butter until it resembles a coarse meal. Pour the wet ingredients into the bowl with the butter and dry ingredients. Using a fork, gently stir until just moistened. 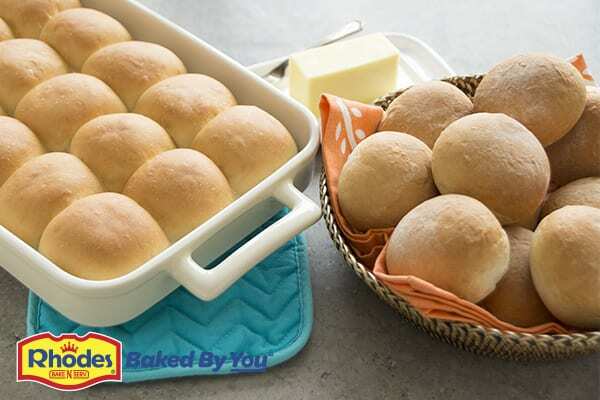 Turn the dough out onto a clean countertop and knead the dough a few times to combine the dough. Press the dough into an 8-inch circle. Cut it into 8 slices. Place a piece in each of the spots in the scone pan. Gently press it down. In a small bowl, add in the yogurt and lemon juice. Stir to combine. Using a pastry brush, brush the tops of the scones with the yogurt and lemon juice mixture. Place into the preheated oven and bake for about 25 minutes. Let cool for 20 minutes in the scone pan. Place the cooled scones on a piece of wax paper. In a small bowl, add in the powdered sugar, lemon zest, and lemon juice. Whisk until the glaze is smooth. Dip the top of each scone into the glaze. Hold it upside down for a few seconds for the excess glaze to drip off. Place back onto the wax paper and let the remaining glaze drip down the sides of the scone. Store in an airtight container. The glaze will dry and make it easy to store the scones. We know it’s not easy to change lives. We help you do it through a great cup of coffee or tea. Every GROSCHE product sold helps provide safe water for people in need and champions social and environmental causes for you to further your positive impact in the world.